We aspire to be the leading bird club in Africa and have a strong and growing membership. 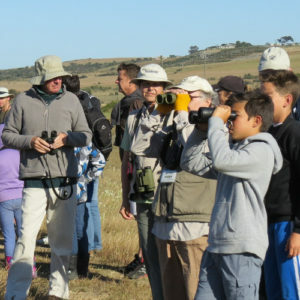 We have a strong relationship with BirdLife South Africa. We are a friendly dynamic and enthusiastic club in which both families and individuals of diverse backgrounds, both young and old, feel at home. We cater for a variety of interests. We are conservation minded and active in conservation initiatives. We are a community of active citizen scientists. We are informative and communicate well. The club is soundly governed and is financially strong, able to meet short and long term goals. We are well connected to relevant stakeholders. We support outreach and conservation education initiatives into communities.